Karan Johar has two big releases lined up in less than a month. One of them is Kesari, which releases on 21st March, and the other one is Kalank, which is slated to release on 17th April. Both the movies are period dramas and look absolutely magnificent. While Kesari is based on the battle fought between 21 Sikh soldiers and 10,000 Mughal soldiers; Kalank is based on the pre-independence era of 1945 and includes the lives of 3 couples. Being the host of a talk show himself, it is very unlikely for him to appear on shows. However, he recently made an appearance on Arbaz Khan’s talk show, Quick Heal Pinch and spilled beans about his relationship with his phone. The filmmaker says, “I don’t give my phone to anyone because it has too much happening in it”. Karan is considered the ultimate gossip queen of Bollywood and no wonder his phone has a lot going on it in. He admits to having a group with Kareena Kapoor Khan and Ranbir Kapoor where they share the latest gossips from around the industry. 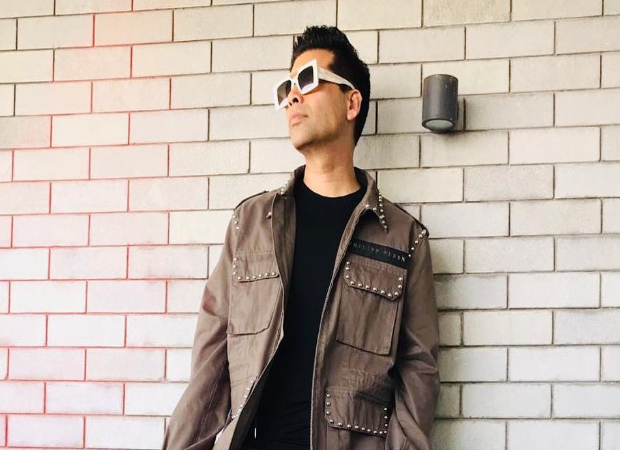 On the work front, apart from Kesari and Kalank, Karan Johar has another magnum opus lined up for 2020, titled Takht. With an elaborate star cast that has the some biggest B-Townies in the film, it includes Ranveer Singh, Anil Kapoor, Kareena Kapoor Khan, Vicky Kaushal, Janhvi Kapoor, and Rekha. The shooting for the same is yet to start but the actors are already prepping to wrap their prior commitments up before they start working on their characters in Takht. Also Read: The Khandaani “Kalank” Konnection! Next Here’s how Deepika Padukone thanked her husband Ranveer Singh for the ‘BEST GIFT’ ever!